Teltonika RUT240 is a new take on efficient communication. It combines advanced technology with easy controls, at an affordable price. 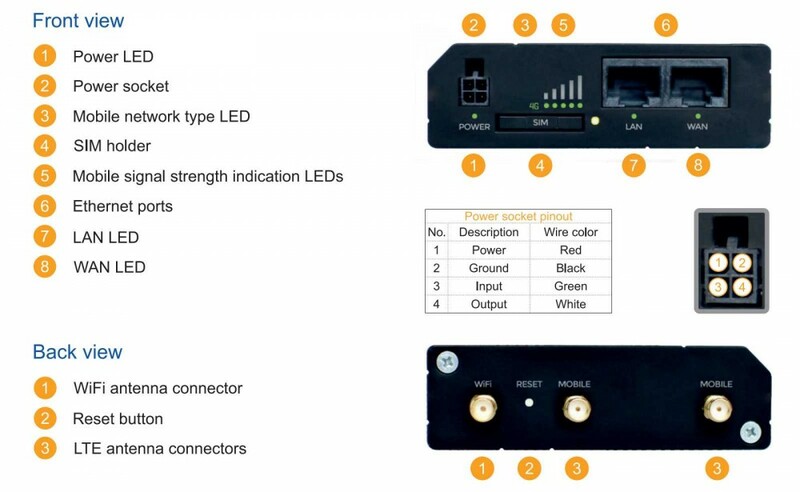 It is equipped with an external SIM slot and LEDs indicating signal strength, ensuring convenient and easy network management. External ports enable you to attach antennas to quickly and easily find the best quality signal. Teltonika RUT240 is used in many different environments – from small companies to the transportation, oil and gas, security, service and energy industries. Why should you choose RUT240 over RUT500?